TUBA CITY, NAVAJO NATION, AZ — Change Labs is accepting applications for 10 open slots in its Native business incubator. Applications to the 2019 summer cohort must be submitted online at https://nativestartup.org/incubator by April 26, 2019. Formerly known as the Native American Business Incubator Network (NABIN), Change Labs offers a year-long incubator program for Native entrepreneurs interested in starting or growing a small business. The program includes one-on-one business coaching, entrepreneurship workshops and trainings, and peer network building — all at zero cost. Upon graduation, incubator participants are eligible to apply for a business micro-loan of up to $10,000. Become eligible for a micro-loan. Change Labs will offer micro-loans up to $10,000 exclusively to graduates of the program. Details about eligibility and a link to the online application can be found at https://nativestartup.org/incubator. 2018 Change Labs Business Incubator members Jack and Georgie Pongyesva of Rezcycling. 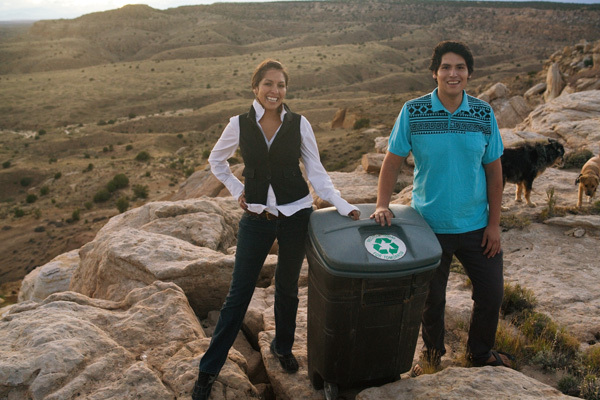 This brother-sister duo is tackling waste and trash-dumping issues on the Hopi mesas through recycling bins, workshops, and community cleanups that revitalize traditional Hopi cultural values of living in harmony with the natural world.